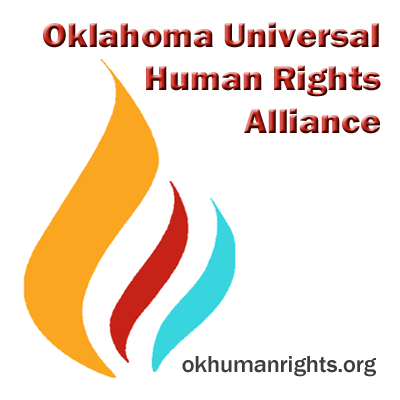 OKUHRA welcomes anyone?to join our organization to help promote and defend human rights in Oklahoma. Dues are $25 annually. ?Only persons who have paid their yearly dues at least 28 days before the meeting may vote. Nominate a human rights hero! Nominations are open for the 2019 awards. Ceremony will take place in December, details will be posted when available. Our directory includes an alphabetical list of all awardees since the awards began in 2012. Click the name for the bio page of that award recipient. For awardees separated by year, click the year link below. 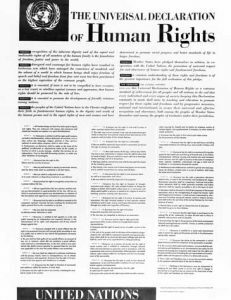 Click image to go to United Nations page to read the full UDHR. Our directory includes an alphabetical list of all awardees since the awards began in 2012. Click the name for the bio page of that award recipient. For awardees separated by year, click the year link below.